I participated in the India mission this summer. I wanted to write and extend my many thanks and good wishes to you and all of the amazing work you are doing in the world. As with most mission trips, I know that myself and many of the participants left with almost a guilty feeling of how much we take away and how much the children give us vs. what we do while we are there. But I wanted to share my personal thanks for the experience and the way it has changed my life, my home life and most importantly the way it has helped my wife to connect to a true calling from God. This trip was Jessica’s first mission trip. She went with a very tentative attitude about the experience she would have, as she is by nature a very reserved person. I wanted to share that since her return that God has truly touched her in very special ways and opened her heart to mission in a way that neither she or I would have ever expected. Since returning from the trip Jessica has become a member of the mission committee at our church, and with the associate pastor and others on the committee at our church organized a family mission trip for late July where we will be putting on a VBS as well as doing a number of work projects. I watch as God truly moves through her giving her drive and ambition to do his work in the world, as well as a voice to speak about it. Jessica is generally a very quiet person. However, since being back she has spoken in front of the congregation, her women’s circle, and at our recent mission meetings. Having been married to her for twelve years and knowing that she has never been someone who enjoys speaking in public, I can only say that it is truly the Holy Spirit working through her, and I thank you for the integral role that your ministry played in connecting her to that. I wish you all of the blessings and joy possible in this world! 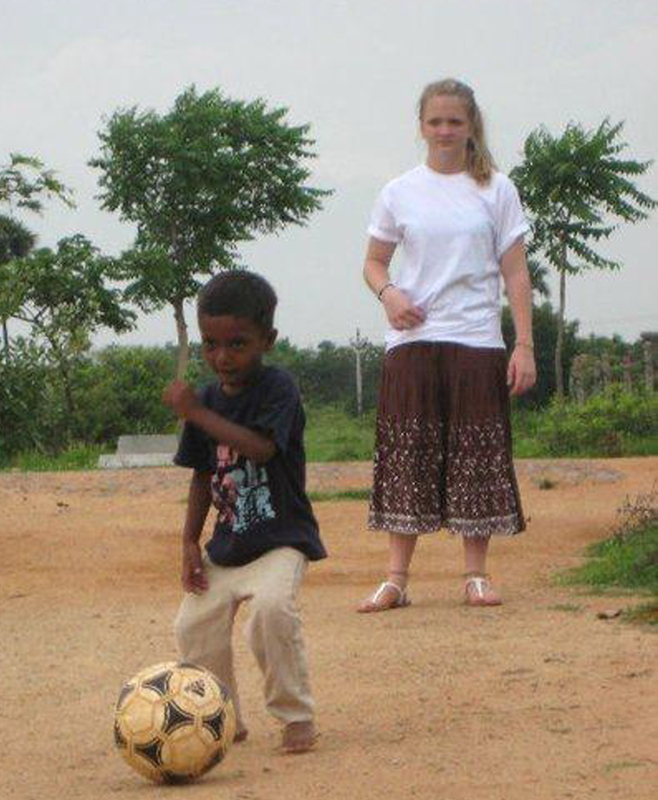 God showed me his love through the kids in India. We visited this small orphan home the first few days and then a week later had them join another orphan group for a concert. I was able to play games, sing songs and hug the kids, but because of the language difference I didn’t really get to know them each super personally. When the kids arrived to the concert we hadn’t seen them for about a week. I just remember their big smiling faces running towards us from their bus. This one little girl runs up into my arms, and I picked her up. I twirled her, and she held on to me so tightly. Next thing I knew she pressed her lips against my cheek and gave me the biggest kiss ever. I was shocked, I mean I didn’t even remember her name, yet she loved me so deeply. I knew at that moment this was how much God loves his children, including me! We don’t have to do anything and he loves us! He cares for me like an orphan who knew me for only two days, yet it would seem like we had been best friends since the day she was born. At one home that I served, there were almost 200 kids. It is a lot harder to give them the one-on-one attention that they need. They call each other sister or brother, so when you actually call them by their first name their faces light up so big. They loved every moment we were with them, even if it was just sitting next to them while they ate dinner. The kids in India need attention and quality time. They need to know, just as I did, that they too are loved! In 2010, Back2Back has explored the theme of hunger. A Back2Back created study guide led mission group members through a series of readings and discussion questions to deepen their hunger for God. During our time in India, we have seen other forms of hunger. The most obvious hunger we saw was physical hunger. The extreme poverty makes food, a basic commodity, not readily available to everyone. Although the children eat large plates of rice, the nutritional content is minimal. Through a generous ongoing donation, Back2Back India is able to improve the quality and variety of foods for children at the ministry sites where we serve. This helps meet their physical hunger. Our mission team immediately noticed the emotional hunger of the children in India. At one of our homes, the children are very affectionate and just cannot get enough hugs, piggy-back rides or Kabbadi (a very physical game). At the larger home, the children are less physically engaged but vie for your attention to look at the craft they made, watch them skip rope, take their picture or just say hello. Spending time with them and pouring into their lives helps fill them emotionally. India is a country hungering for the fruits of the spirit –love, joy, peace, patience kindness, goodness, and faithfulness. We are thankful that our partners there have a heart for children and are teaching them spiritual truths. The children memorize scripture verses, learn worship songs and perform dances that tell of God’s love. They are filling their hearts and minds with spiritual fruit. 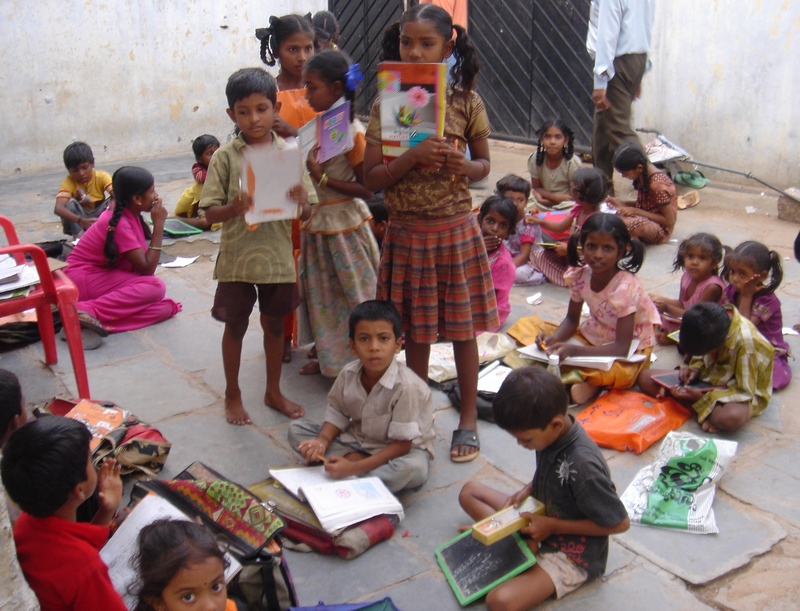 The children in India have a hunger to learn. They are very disciplined in their class schedule and study time. This summer’s mission team spent several days teaching the children about numbers, shapes, colors, and body parts in a fun and interactive manner – and all in English! It was a great opportunity for the children and they were eager to learn. Back2Back wants to nourish their hunger for education. This summer the mission team, interns, and Back2Back staff spent a fun-filled and energetic week heaping spoonfuls of physical, emotional, spiritual and educational blessings on the children in India to help fill their hunger. I pray that our hunger to meet their hunger continues to grow. If you are interested in opportunities to serve in India on a mission trip or as full-time staff, please contact Chris Ramos (ramos@back2backministries.org). When I think of putting a child to bed, I think soft and cuddly thoughts. These thoughts consist of squishy pillows, soft blankets, soft kisses, generally anything soft. Last summer, my daughter and I spent several weeks in Hyderabad, India serving at Back2Back’s India campus. When we visited a children’s home that Back2Back India serves, one of the first things the kids did was excitedly show us their rooms. Their rooms consisted of beds, pushed together in one platform, made of plywood, set up off the ground. When the mission trip group members saw this, they were moved to act. They started asking if there was any way they could purchase mattresses for the children in this home. A national that works with Back2Back got right on the task. When we went back out to the same home for the second day, a load of small mattresses arrived. The kids were ecstatic. 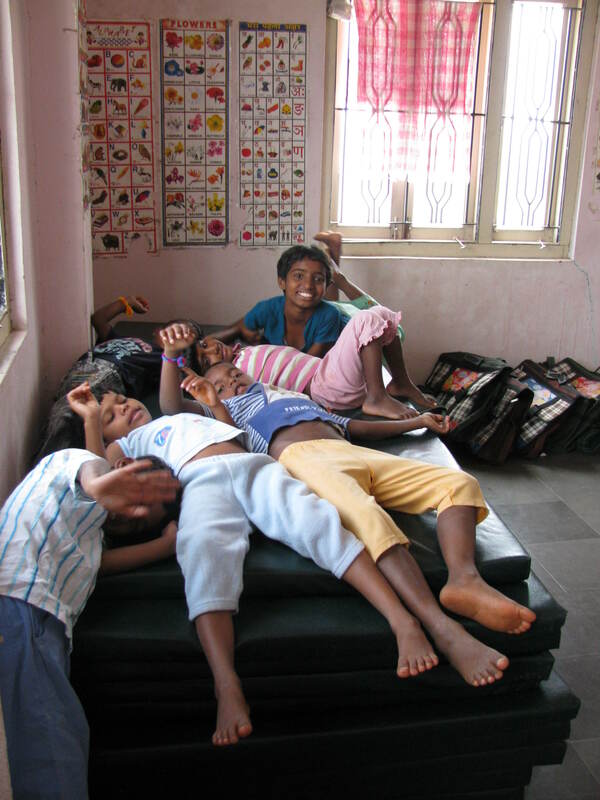 As the group members carried those little mattresses upstairs, the kids could hardly wait to see. We laid the mattresses on the boards and the kids promptly started lying and jumping on them. It was a joyous moment. What a great way to see a need and meet a need! We walked away knowing that maybe this would be the first time that these kids associated sleep with softness. It gave us all sweet dreams. The youth group at Braddock Street United Methodist Church (BSUMC) in Winchester, Virginia has participated in many mission trip projects over the course of the teenage years of my family’s six children. We have been to the hills of West Virginia and South Dakota and the streets of Chicago, New York and Lima, Peru. Over the years, we have helped to rebuild homes and spirits in storm damaged communities in Mississippi, North Carolina and Alabama. We have provided comfort to those whom are homeless in Washington, DC and in our own community. God has blessed our church family with an abundance of love and resources. Our church’s leadership is equally blessed with a forward looking vision of God’s plan for mankind. 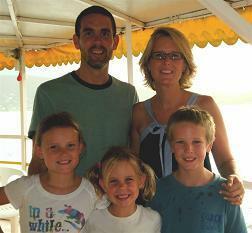 In the summer of 2010, our church’s youth and adults embarked on another mission project. Every three years, we select a foreign destination to deploy our love, talents and resources. 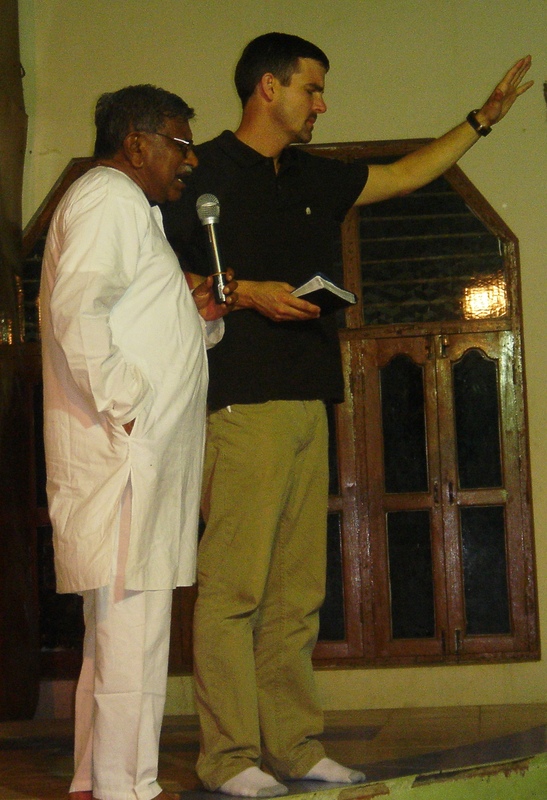 Through our new friends at Back2Back Ministries, we chose Hyderabad, India. We set off on our India mission trip on July 14. Four flights and thirty-six hours later, we were on the ground in Hyderabad. We were first greeted by the warm smiles of Back2Back staff asking, “Are you all from Virginia?” It was obvious that our team stood out in the busy crowd at baggage claim. But we knew that God had placed us with the correct people that would help us deliver our church’s talents and gifts. Back2Back India is a well-run, organized, and motivated group of God’s disciples. Their goals are simple and ego-less: provide for the basic needs of the orphanages today, so that tomorrow can be better. Whether the goals are working toilets and septic system, reliable and safe drinking water, cot pads to sleep on, or a refrigerator, Back2Back and our group were able to execute with God’s grace and guidance. While our team taught English and math, dug trenches, laid sewer pipes, and brought school supplies, cookware and toys, perhaps our most well-received gift was the joy of playing catch, skipping rope, painting fingernails, drawing in chalk or playing soccer and Kabaddi, an Indian game. Only God knew from the onset of the mission, that the simple act of playing with a child would be so rewarding for everyone. Only God knew that clearing a 40’ by 40’ patch of earth on a steamy Indian summer day, and a soccer ball, would yield such great joy for sixty-four boys that same evening. The brightness of a child’s smile is so renewing for one’s soul. The eye contact and connection made playing catch with a young child is such a blessing. The simple act of playing connects with children no matter their age, race, greed or religion. God is great. God is amazing. God’s knows exactly what is required. In 2009, the Cincinnati Krohn Conservatory Butterfly Show featured butterflies and the culture of India. A generous donation from the event’s gala dinner was given to Back2Back India to help build a dining hall for children at an orphanage near Hyderabad, India. 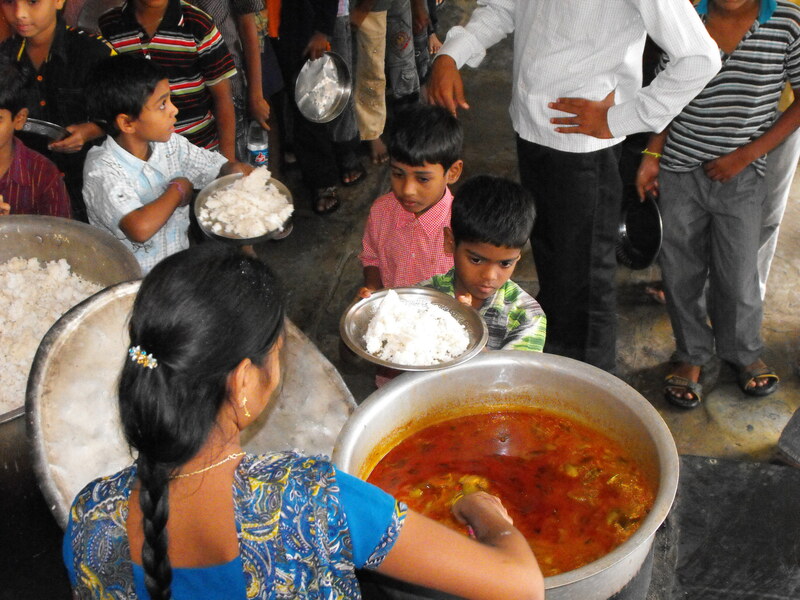 For many years, the 250 children who we serve at the Mercy Hostel orphanage have eaten their simple meals of rice and dal outside in the courtyard, rain or shine. During the summer, the temperatures can reach 115 degrees Fahrenheit; during monsoon season, the rains can be torrential for weeks. The dining hall was designed to provide a cool and dry place for the children to enjoy their meals. It will also provide a study area for the children between meals. In July 2010, we participated in the dedication of the dining hall. It was a joyous occasion for the children and guests. Although the facility is not completed – it still needs tables, chairs and some finishing touches – we saw the value of the project first hand. The monsoon dropped continuous rain for two days but the children were able to take their meals inside the new dining hall building. Thank you to the Krohn Conservatory, Back2Back and all the individuals who helped meet this important need for the children. It’s good to be back in India! We arrived this week in advance of the mission team. Ten youth and adults from a church in Virginia are coming to serve with us this week. We also have three Back2Back interns and two additional Back2Back staff on this trip. 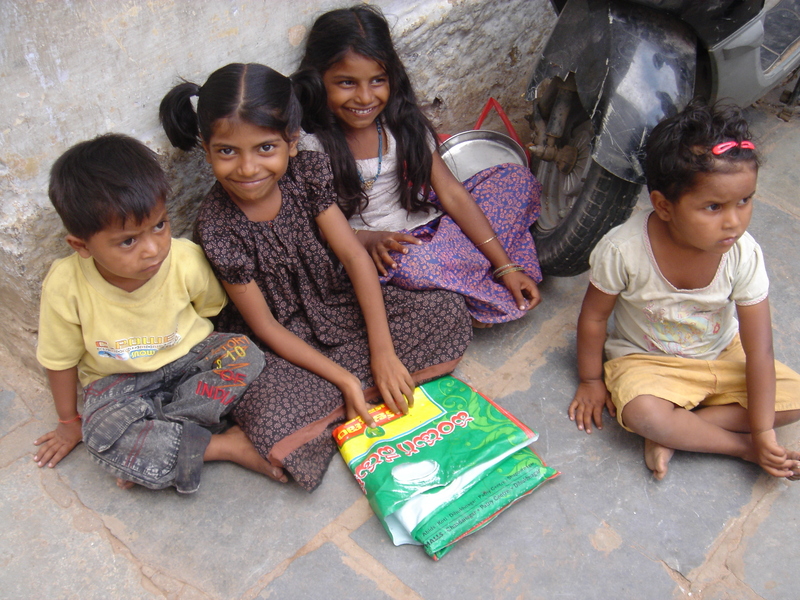 We are looking forward to what God has planned for us and the needy children in the rural areas around Hyderabad. 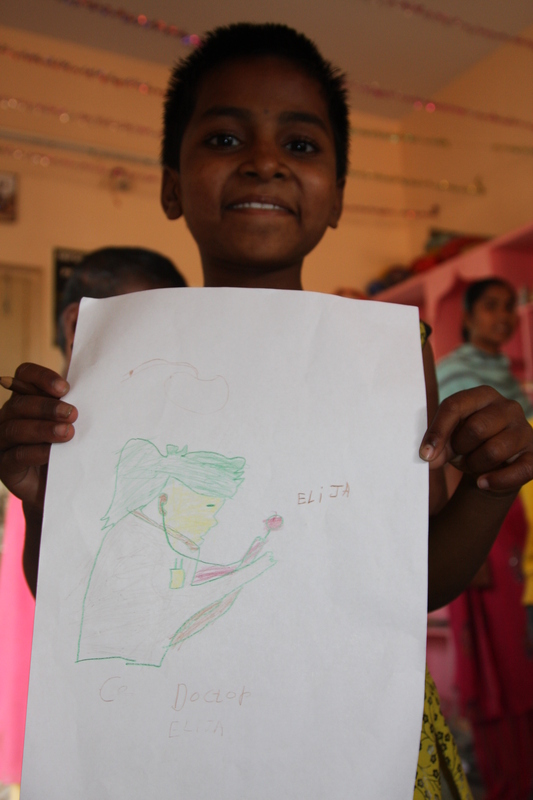 This month’s activities will take place at two of the children’s homes served by Back2Back India. We will have a good dose of “kid time” with crafts and games. The children have prepared special singing and dancing for us. Part of the time we will spend at the schools, seeing the importance of education and maybe even being “substitute teachers” for a couple of classes! 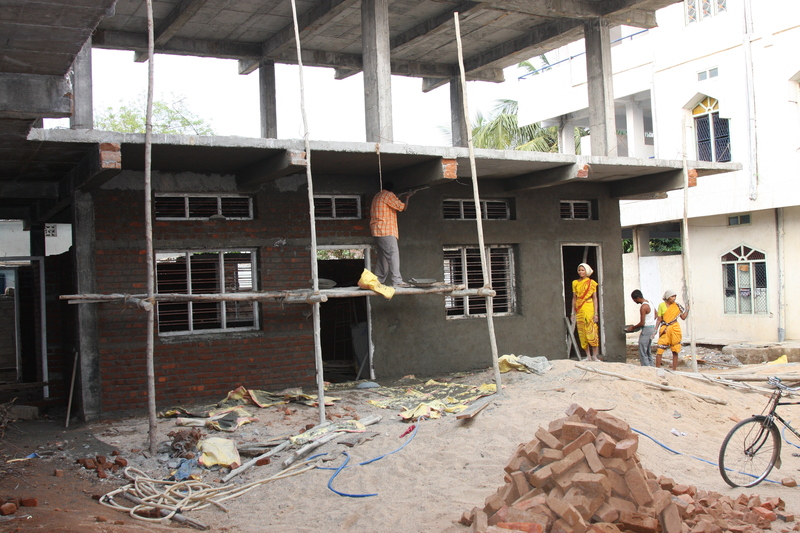 Work projects will depend on the rain, availability of supplies and present needs at the children’s home. There are always plenty of needs. A likely highlight of the trip will be a special musical concert from the members of our church band in Hyderabad who will travel to the children’s home to perform. The kids cannot wait (and neither can I)! Currently, Hyderabad is averaging temperatures cooler than Cincinnati. But it is monsoon season and we have experienced heavy nightly rainfalls. Our prayers are with our staff, interns and guests in Monterrey where they received “monsoon-like” rains from Hurricane Alex. Thank you for your prayers for the team coming to India and the work we’ll do this month. Look for upcoming blog posts about the trip. Back2Back partners with a feeding center in a Hyderabad slum that provides evening meal and education for poor children in the area. This is the story of Rukmini, an eleven year old girl who our staff recently met at the Feeding Center. Rukmini’s father works as a laborer on a brick transporting vehicle and her mother works as a daily laborer on construction sites. Her elder brother, now age fourteen, dropped out of the fifth grade and starting working under a mason, learning construction work to become a mason in future. Rukmini is a sweet, intelligent and disciplined girl, who is very interested in studies. Last year, while she was studying in the sixth grade, her parents made her discontinue her schooling to look after her younger sister Vennela, who is four years old, and her grandmother, who is blind and bed-ridden. Even though she was not interested in staying at home and missing school, her parents made her stay at home and look after them against her wishes. The feeding center has become an oasis for her regular evening study. Rukmini comes to this center along with her sister. She actively participates in the study and attracts the attention of all the volunteers, the directors and visitors with her pleasing manners, good behavior and sharpness in her studies. Although she discontinued classes, she continues to read her old books and would like to move forward with the intention that she would get an opportunity to go back to school again and continue her studies. Rukmini became a victim of her circumstances and helplessness of her poor and uneducated parents. There are many such instances among the families in the slums. The Feeding Center is an oasis for many poor children. 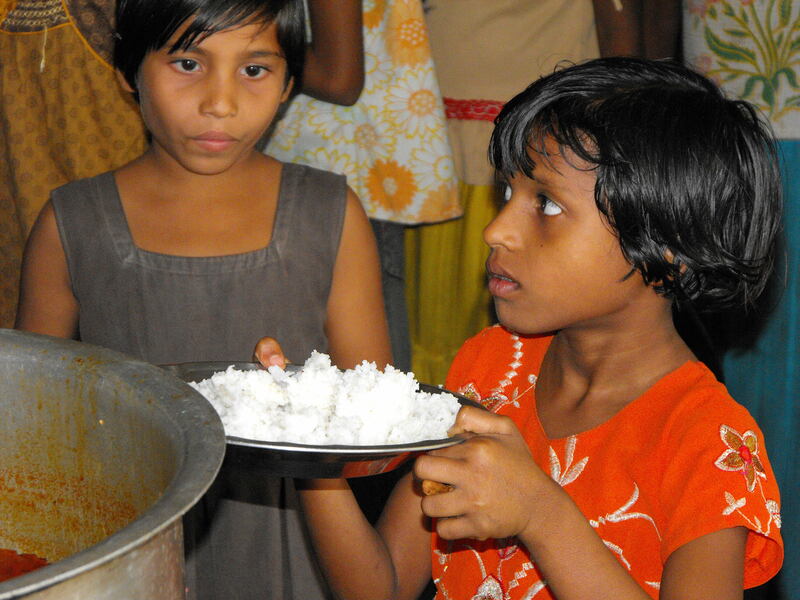 Please pray with us for Rukmini and the other children in this slum area and for the directors of this feeding center. We are privileged to come along side them as they provide nutrition and education to these needy children. 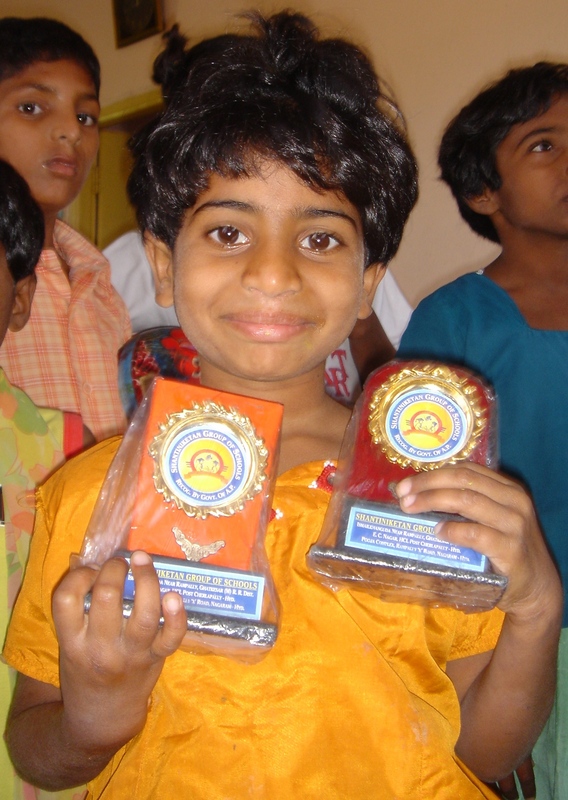 Eternal Joy Children’s Home (EJH) near Hyderabad, India was founded in 2008 by a Christian couple whose vision was to care for physically and mentally challenged children living in poverty. The home that began with six children has since grown to provide for up to twenty-five children ranging in age from two to twelve years. 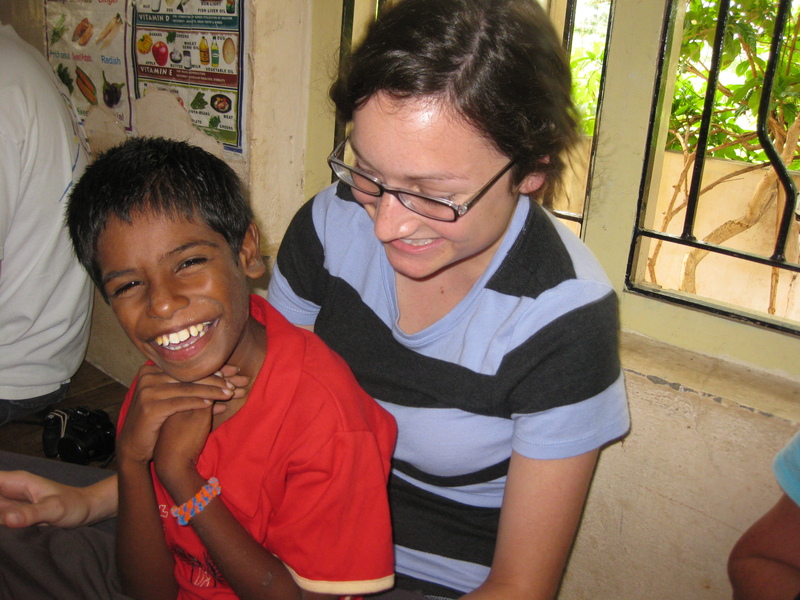 Several of the children have special needs, including Down Syndrome, polio and birth defects. Eternal Joy Home provides a loving family environment for these children, many of whom would otherwise be outcasts in Indian society. Thanks to the care of the directors of the home and Back2Back staff, these disadvantaged children are able to receive an education and pursue their dreams, securing a brighter future for themselves. Last month, we expanded the Back2Back Shelter Child Sponsorship Program by launching the program in India, in order to give the children at EJH an opportunity to receive the benefit of sponsorship. 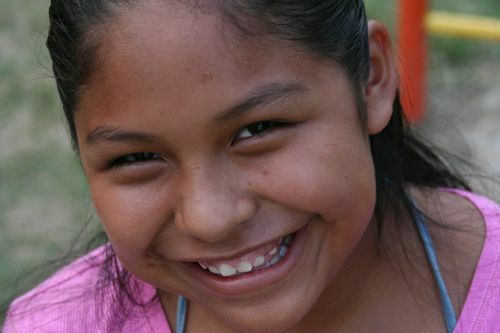 Through the program, sponsors can make a lasting difference in the life of a child at Eternal Joy Home. By contributing toward the expense of providing nutrition, housing, clothing, health care and educational opportunities, as well as spiritual training and personal development, child sponsors are helping a child to receive the resources they need to thrive and grow. Similar to the sponsorship program in Mexico, families will have the opportunity to build a meaningful relationship with their child through update letters, prayers and even visits to their children’s home, should they choose to take part in a future Back2Back mission trip. 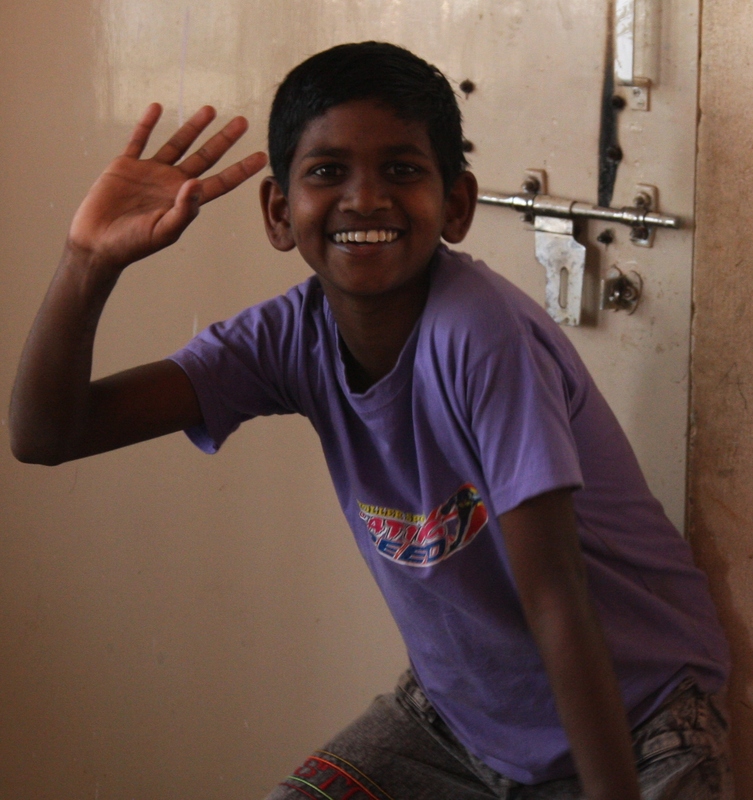 Ashok is a bright, energetic and friendly 12 year old boy at one of the children’s homes served by Back2Back India. In October 2008, his mother was killed in an accident. His father is a coolie, a manual laborer unloading sand trucks. As a poor widower working long days, he was unable to take care of his children. So Ashok, his sister Maheshwari and younger brother Karunakar were begging daily to live. 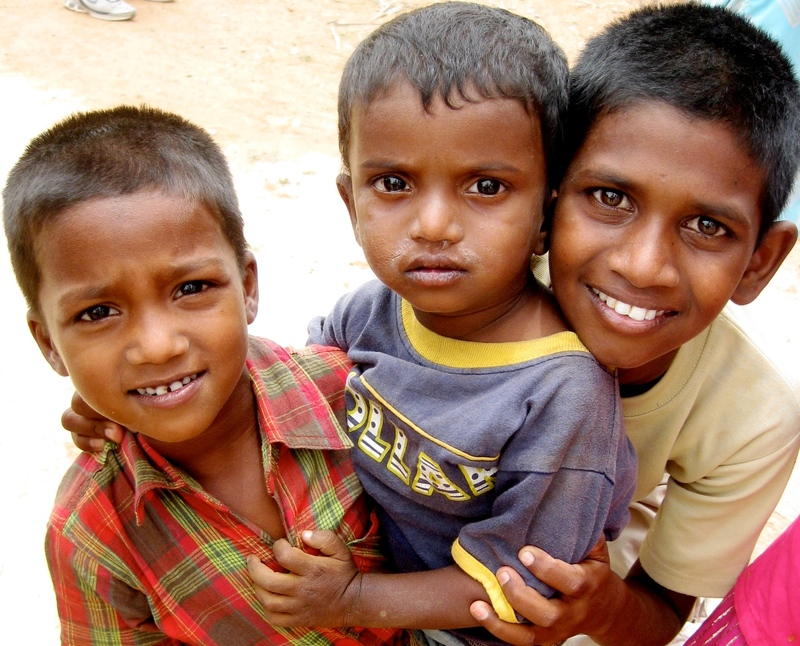 In May 2009, these three siblings joined the children’s home. Ashok is very attentive to and protective of Karunakar, a little 4 year old who is often fussy. 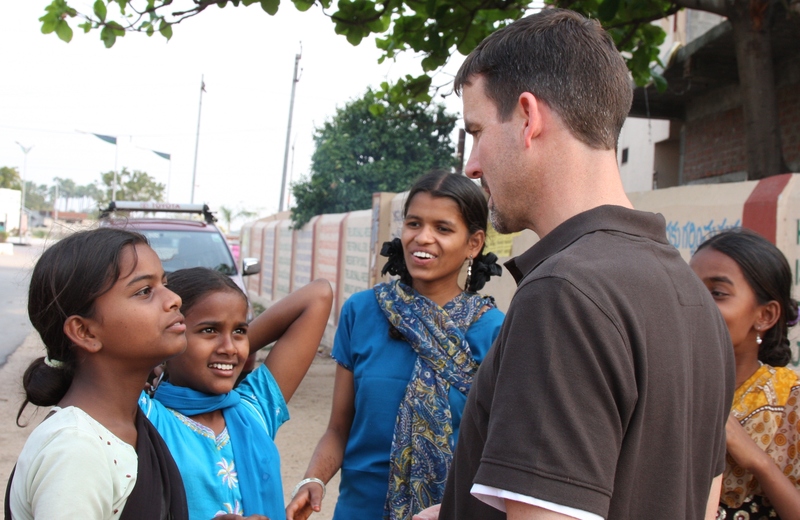 Recently a short-term service team from the UK served with us in India. They shared the story of Joseph with the children. (Genesis 37, 39-47:11) As a related craft activity, the children colored construction paper “coats” in many colors. 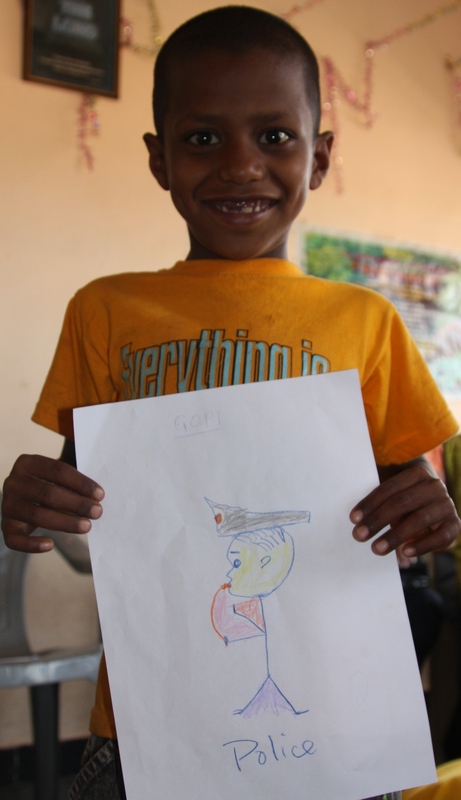 The next day, the children drew pictures of what their dreams were – what they wanted to be when they grow up. Some wanted to be police officers, others teachers and pastors, and even some doctors. 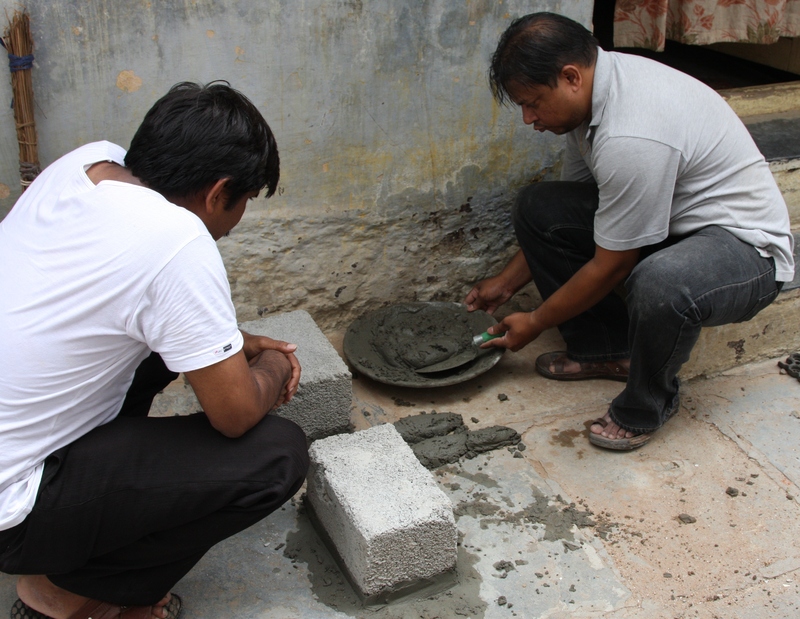 Ashok helped Karunakar draw the dream of becoming an architect. Ashok then put Karunakar’s dream in the pocket of his own multi-colored coat. When I asked Ashok about his dream, he indicated that it didn’t matter; it was more important that his little brother’s dream come true. 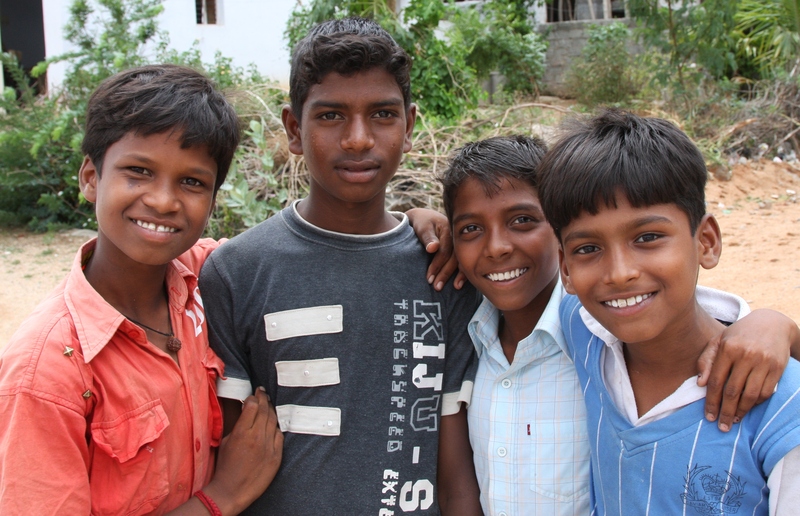 Ashok, Maheshwari and Karunakar are just a few of the many children that Back2Back serves in India. We are providing care for today and hope for tomorrow so that each child can dream a big dream. We pray that just like Joseph, as these children work hard and trust in God that all their dreams may come true. In February, when we left Cincinnati for our trip to India it was cold and snowy. We arrived in Hyderabad where it was hot and sunny. A pretty dramatic difference! 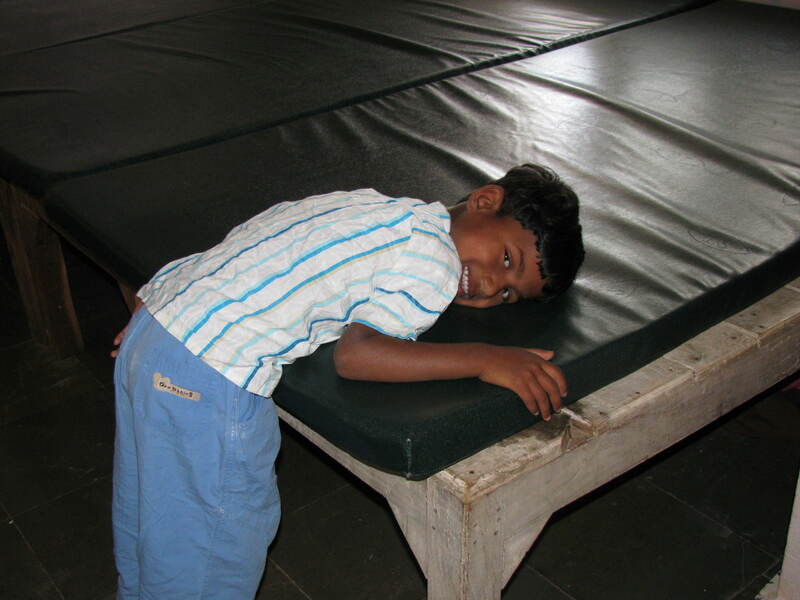 We spent the night at one of the orphanages served by Back2Back India. They do not have a water heater or geyser. Since the water is stored in a tank on the roof, it varies with the outside temperature. The water can be pretty cold on winter mornings and extremely hot on summer afternoons. Although the daytime temperature was above 90 degrees during our visit, my morning shower was a quite chilly. The children living at the hostel have adapted to this and during the winter, they bathe in the afternoon after school when the water is warmer. 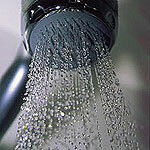 But typical American, I longed for my warm morning shower. That’s where I’m comfortable – lazily, mindlessly soaking in the warmth. In the cold shower, I was breathing rapidly and loudly, my heart was racing and I was focused on the reason I was there. True Christianity is not about being comfortable. Serving with Back2Back in India is definitely out of my comfort zone – and not just the water temperature! The comforts of home that make me “warm” (lukewarm?) can keep me from giving God my wholehearted love and obedience. When I am warm and comfortable, I don’t realize how much I need Him. I miss out on the grace and riches He has to offer. 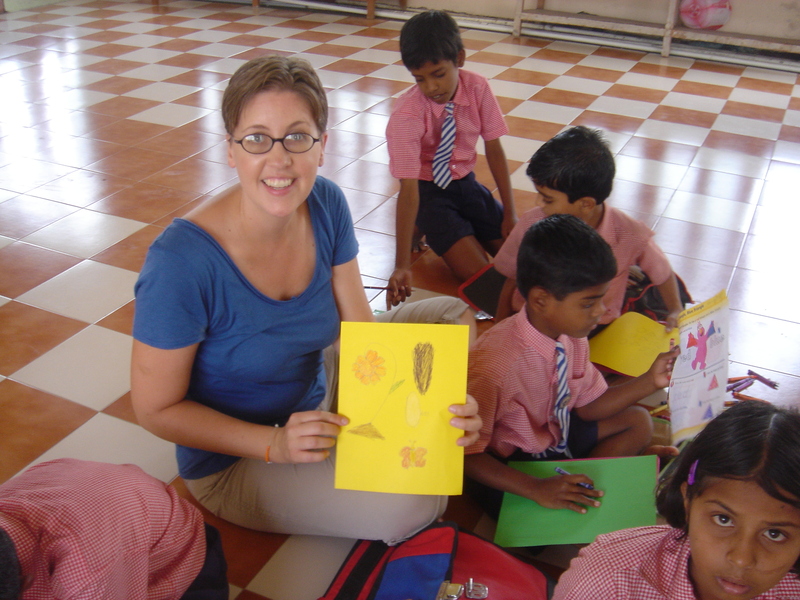 Serving in India provides me the opportunity to really experience God in the heat of it! 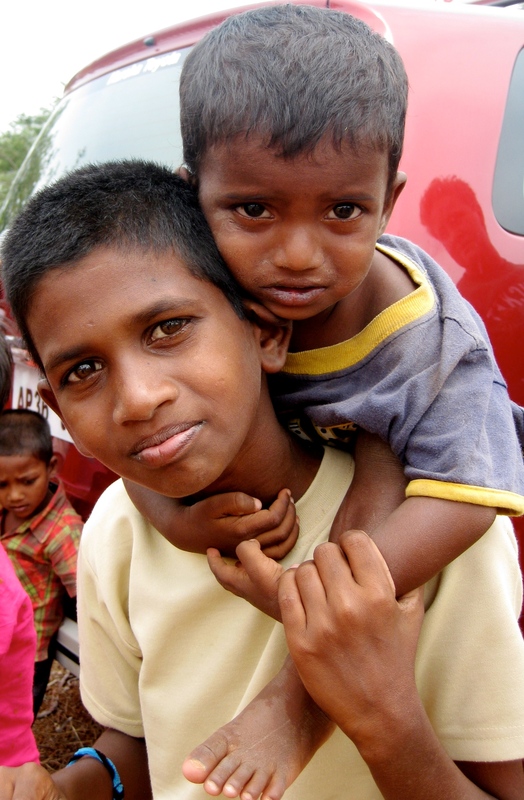 To not just pray for the abused, abandoned and needy children of India, but to pray with them. To see God’s promise to provide for orphans and widows as they depend on Him for their everyday needs, things that I often take for granted. There’s nothing like a cold shower to wake you up to the truth! Are you hot or cold? 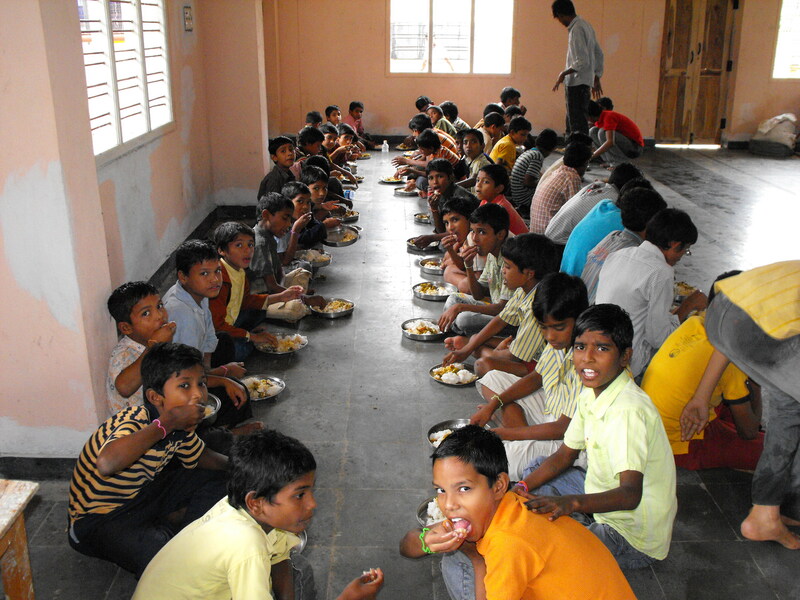 Since late 2008, Back2Back has been serving orphan children in India. We recently had the opportunity to visit Hyderabad and see how things are going. It was a great trip. Back2Back Executive Director, Todd Guckenberger, came along. He was able to see each of our ministry sites, meet the directors of those programs and interact with the children. At Mercy Home Hostel, he was welcomed with a flower garland and the children lined up along the driveway, singing and dancing. That night, the children sang and danced for us again. They performed traditional India dances set to music with Christian lyrics. Although the words are all in Telugu, the dance moves often demonstrate the love of Christ, breaking the bonds of oppression and showing compassion to others. The children also recited scripture by memory, including several Psalms and entire Bible chapters. Using an interpreter, Todd shared a message with the children reminding them that they are each a child of the most high God. We brought our greetings as well, telling the children how much we missed them and encouraging them to do well in school and grow in Christ. 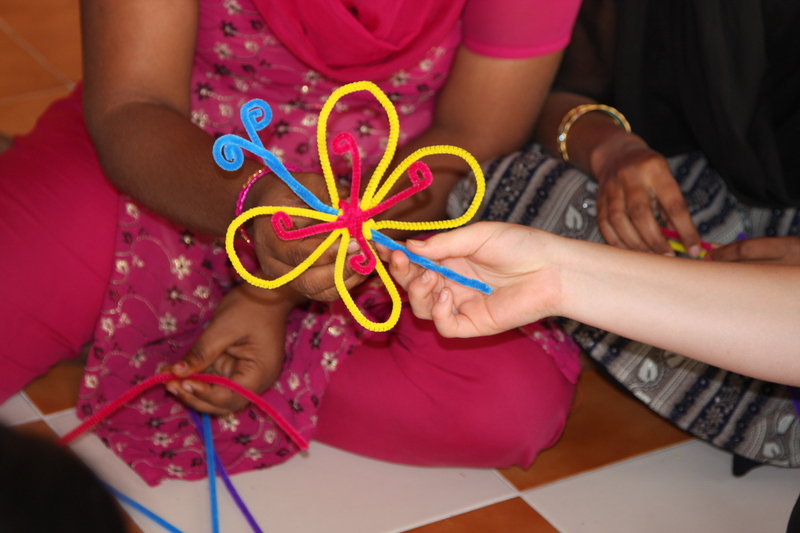 In the short time we were there, we were able to host a group from the UK who taught new songs, played fun games, provided craft activities and shared the story of Joseph with the children at Eternal Joy Home. Although we are now living back in the US, our national staff in India has been overseeing the projects started by B2B India. We were happy to see that the children served by B2B were all doing well. Thanks to a generous ongoing donation, we are supplementing the food at the children’s homes to include eggs, milk and fruit. Because of their improved nutrition, we could definitely tell a difference in the health of the children. The girls’ bathroom is still clean and functioning well. 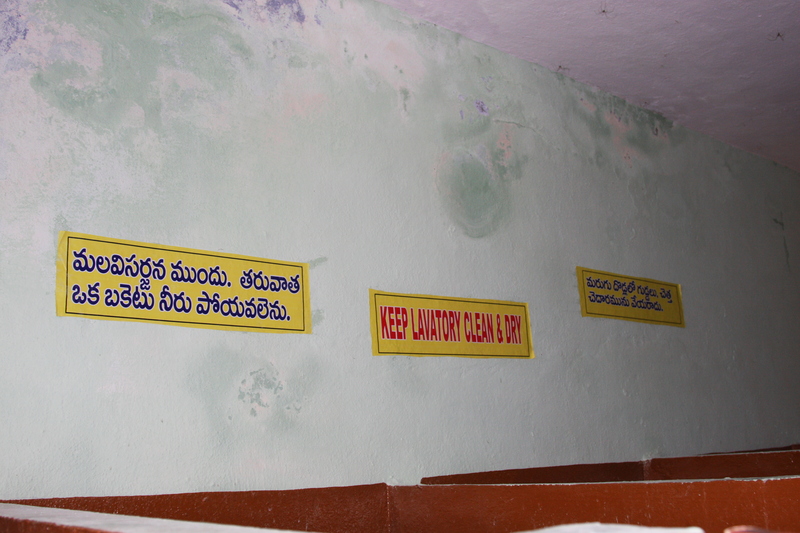 Signs in English and Telugu remind them to participate in the care and upkeep of this renovated facility. Three of the older students are now enrolled in a Bachelor of Education course that will certify them as teachers. Thank you to our donors who are helping to provide care for today and hope for tomorrow for the orphan children in India. 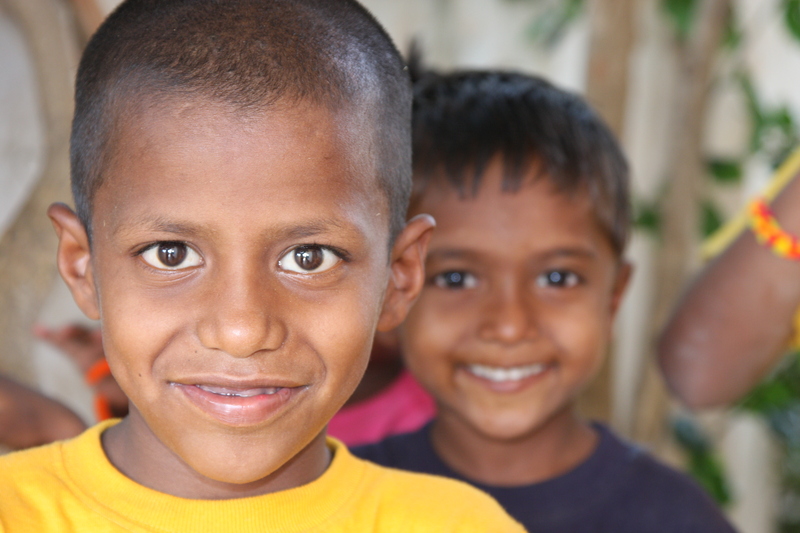 Please continue to pray with us for the future of the B2B India ministry and the children we serve. If you are interested in learning more about joining our staff team in India, please contact Chris Ramos at ramos@back2backministries.org. 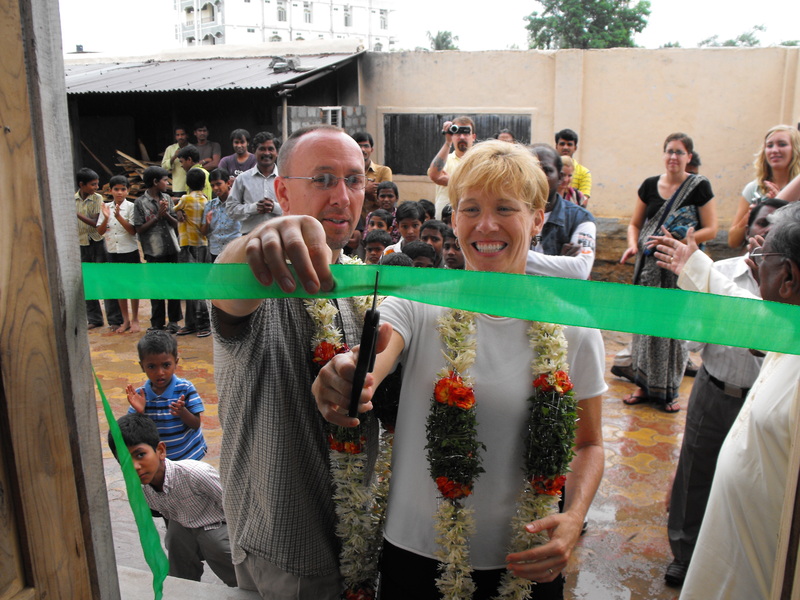 Recently, Back2Back India partnered with a Feeding Center to provide clean drinking water to poor children. 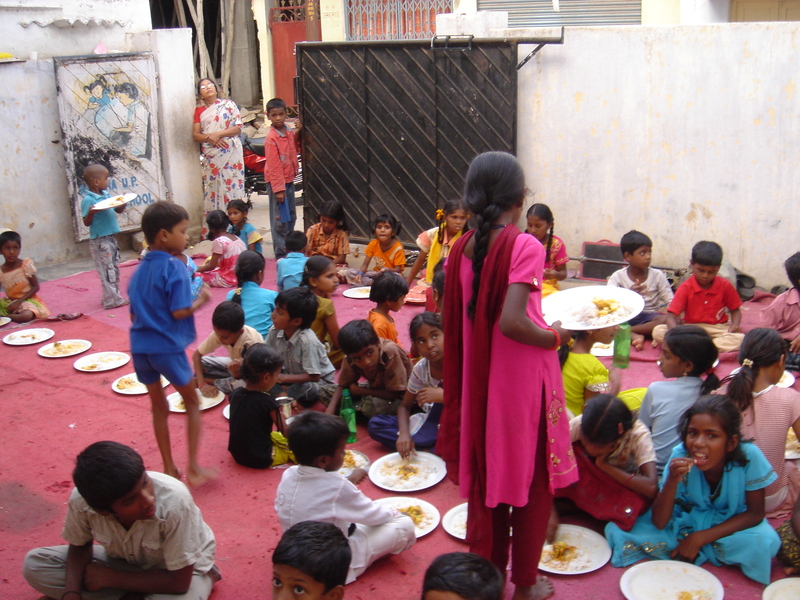 The Feeding Center is run by a husband and wife who live near a slum in Hyderabad. During the day, some children attend school and receive a hot meal provided by the government. However, many of the children in the slum do not attend school during the day but instead work menial jobs or help care for younger children while their parents are working. So after they come home from their jobs, this couple opens their home to about 150 children to come have a meal and study. Several days a week, the Feeding Center purchases drinking water pumped from large tanker trucks. They fill various vessels with the water and carry them from the street to the house. When a group from our church visited the Feeding Center, they learned of the need for tanks to store the water in a clean and hygienic manner. Back2Back India committed to this project. The day we went to install the tanks, we had several construction challenges. The plan was to stack pre-made concrete rings together as a base for the water tanks. However, as the video demonstrates, the quality of the concrete was not very good. 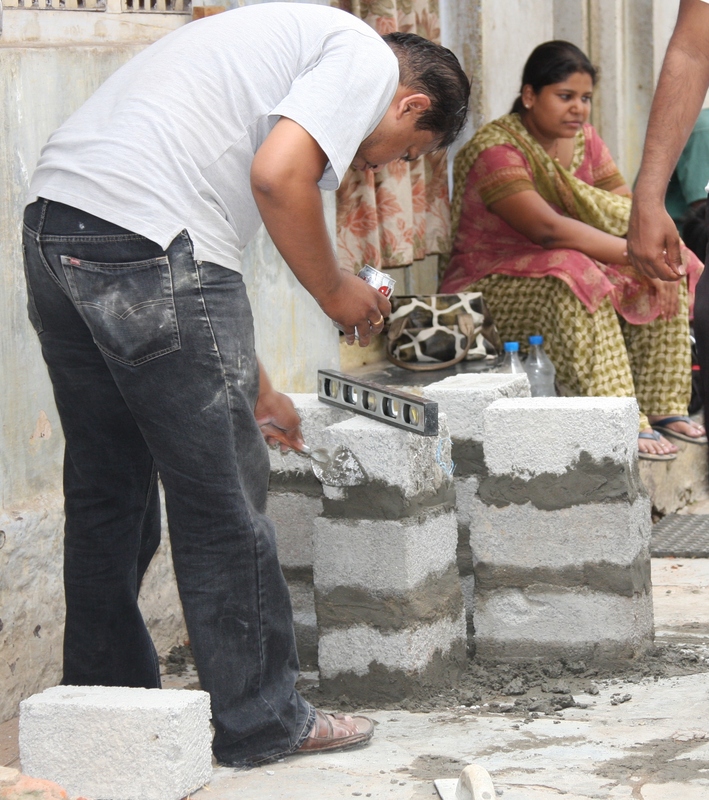 So, we went to plan B – cement blocks, arranged and mortared together. Our pastor, the director of the Feeding Center and several volunteers worked together to build the project. For several of the men, this was their first hands-on experience with a small construction project. They caught on quickly and enjoyed working toward a goal. We worked hard all day, finishing by the light of cell phones. 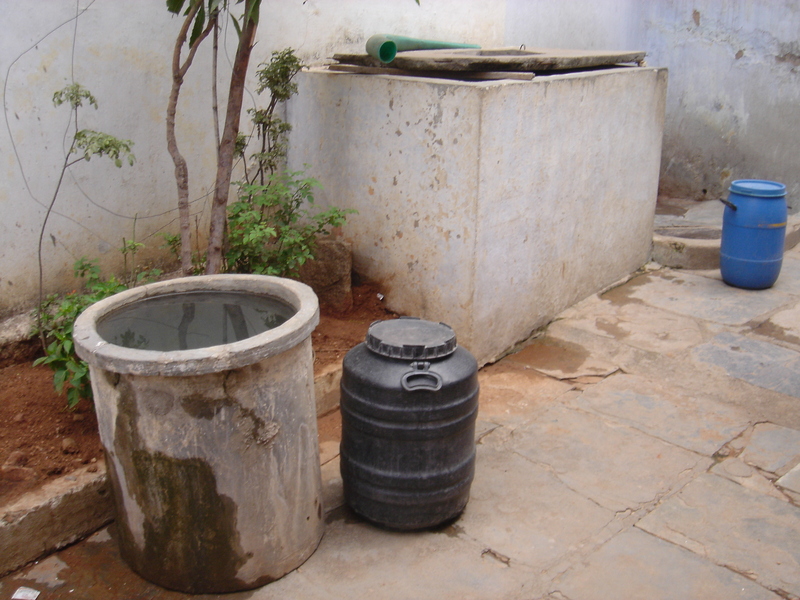 When we were done, there were two new water tanks and multiple faucets for the children to draw clean drinking water. Greetings to you in the matchless name of our lord and savior Jesus Christ. We appreciate your hard work and dedication in donating the water tanks to our children in the center. They are really very helpful to the children. We don’t have to carry drums of water everyday. A big thank you to both of you and may God bless you. We were very much encouraged seeing you working and doing things on your own, putting in the tanks. After seeing you, we are trying to do small repairs in our home without anybody’s help. We would like to send some pictures of our center. We have conducted competitions for children on Children’s Day on 14 November. We gave them certificates and medals for the winners. It was an exciting moment for the kids. We also had our Christmas eve on 22 December. We gave kids yummy plum cake and the children enjoyed Christmas meal. After completing their one-year commitment to serve in Hyderabad, India with Back2Back, Brent and Lisa are transitioning back to the US to fulfill obligations at their businesses in Ohio. A national ministry partner will be managing the day-to-day operations of Back2Back India. Clean Water: We built a clean water system at an area feeding center that provides meals and free education to a local slum community. The families and children that benefit from this center can now access clean drinking water. Back2Back also provided them with storage capabilities for the water. Children’s Home Renovations: We completed renovations at the MHH Children’s Home, including an overhaul of their dilapidated bathrooms and the construction of a new kitchen/dining hall. The children had been eating outside on the ground, but will soon be enjoying their meals indoors. Nutritional Assistance to Children’s Homes: In addition to providing ongoing financial support for the children’s homes, we have also established a new nutrition program and developed opportunities for spiritual development for the children. Thanks to the generosity of US donors, Back2Back will continue to support the children’s homes through regular food donations in 2010. New Partnership: We have begun a partnership with EJH Children’s Home, as the directors of this home share Back2Back’s vision to show love and provide care to children in need. This particular home cares for children with disabilities, a ministry that is desperately needed in India, a country where those that have a handicap are marginalized by society. Although Brent and Lisa are returning to the US, they will still be heavily involved with the ministry in India, providing oversight and direction for current and future projects, ensuring that Back2Back India will continue to maintain a strong presence in Hyderabad. They will also continue to serve with Back2Back as mission trip leaders and ministry advocates, traveling to India several times a year and offering ongoing support to the local Back2Back India staff. Back2Back Ministries is grateful to Brent and Lisa for their service in India this past year and thankful for their continued partnership with us, as we pursue the heart of the orphan. 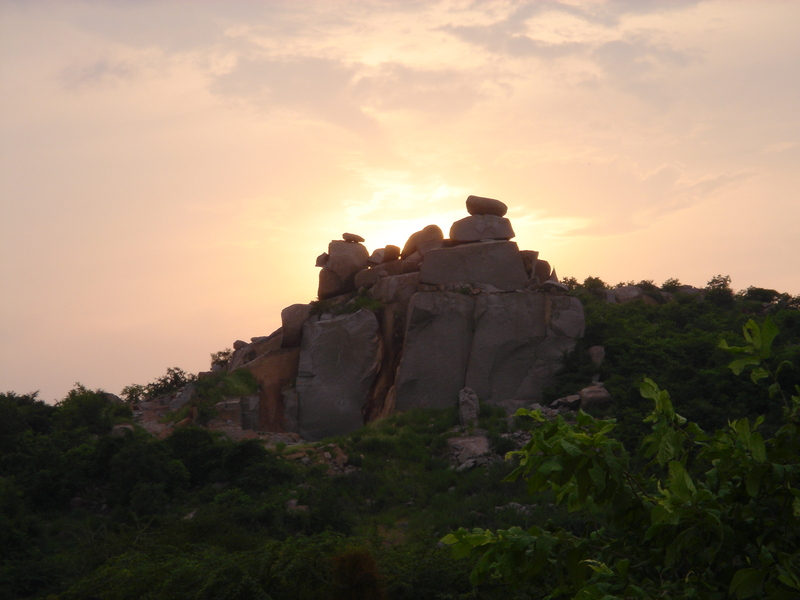 Hyderabad is located in the Deccan Plateau region of India where there are ancient granite stones shaped into spectacular sometimes bizarre formations of rock, reminiscent of southwest United States like Arizona. These are awesome and enormous rocks. Entire neighborhoods exist in these rocky areas. First the rocks must be cleared to allow construction of these homes and buildings. When out for my morning walks, I often see a group of laborers working on a job site. They chisel all the rocks by hand. A huge sheet of granite is slowly and patiently split into smaller and smaller pieces until there is room for a foundation. Then the small square bricks of granite are used in building the walls of the home. What a huge job for these workers and what terrible carpal tunnel syndrome symptoms they must have! Many days, I feel like one of those workers. Back2Back is here to help provide for orphans in India. And this is an enormous task. There are over 1 billion people in India including 400 million children. India has more children than the entire US population and it is estimated that 9% of them are orphans which mean that there are about 35 million orphan children in this country. There are many ministries and organizations here trying to help these children. Some of these organizations focus on street children; some on abolishing child labor; others support education or vocational training for girls. With so many needs and so many children, sometimes it is difficult to know where to start. So, we take each day and each opportunity to chip away at this gigantic challenge. Thank you for you prayers and support of the Back2Back India program. 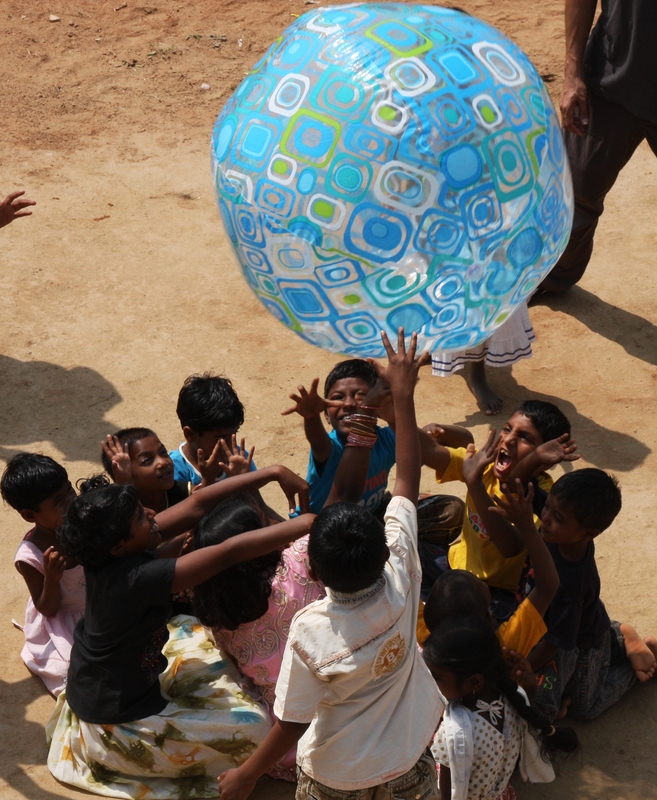 Together we can break the hard challenges into building blocks for the future of the needy children in India. India has twenty-two official languages and thousands of dialects. Hindi and English are national languages. In Andra Pradesh, the state where Back2Back India operates, the most common language is Telugu. A child in India first learns their local language then studies that language plus Hindi when they get to school. By 5th grade when they start English, the children are learning three languages! Some schools called English Medium schools, teach in English from kindergarten onwards which gives the children a better exposure to this world language. 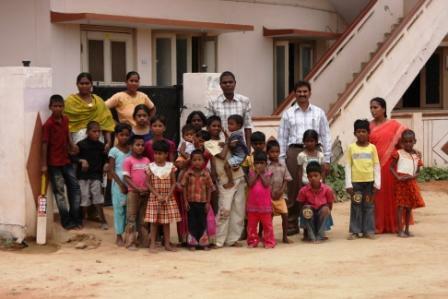 The children at Eternal Joy Home, one of the children’s homes served by Back2Back India speak Telugu. When we met them about a year ago, they knew only a few English phrases. Some of the children were given the opportunity to study at an English medium school this year. Although it has been difficult for them to jump into this new language, they are happy to be at that school. They have also received encouragement from American and British friends who came to visit, brought books and educational games and spent time interacting with the children. Over time, we have seen an improvement in the English skills of the children. They are getting good marks (grades) at school and several received awards recently. In this video, one of the young girls who spoke no English earlier this year, now sings “Twinkle, Twinkle Little Star”. We thank God for the opportunities He provides for these children. Please pray with us for their continued studies and the hope that Back2Back India can help break the cycle of poverty through education. As Thanksgiving approaches, we cannot help but celebrate the many ways in which God has been faithful and blessed Back2Back Ministries. We would like to take this opportunity to share just a few highlights from 2009 for which we’re thankful! In Mexico: As a result of the Back2Back Hope Education Program, six children who we met when the ministry first began have now graduated from college, forever breaking the cycle of generational poverty in their families. 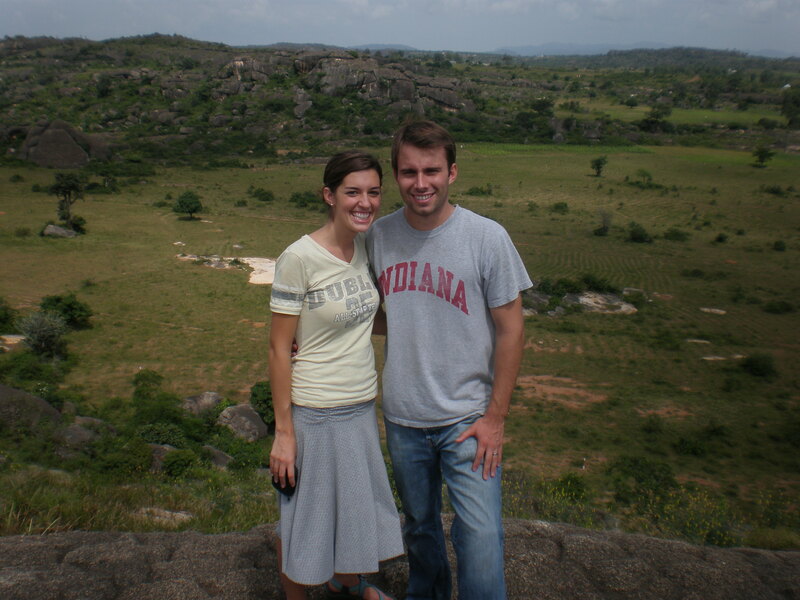 In Nigeria: We have expanded our full-time staff to include John and Corrie Guckenberger and Will and Theresa Reed. Through the generous land donation of Self-Sustaining Enterprises, we are beginning to develop a permanent Back2Back campus with staff and group housing. We are also launching the Hope Education Program in Nigeria and building an education center on this land, allowing us to provide more opportunities to the children that we serve. In India: We have begun a partnership with EJH Children’s Home, as the directors of this home share Back2Back’s vision to show love and provide care to children in need. This particular home cares for children with disabilities, a ministry that is desperately needed in India, a country where those that have a handicap are marginalized by society. In the U.S. Office: We have increased our staff in the US, allowing us to expand and improve our communications and have a greater impact in meeting the need of orphans. We also have begun a child sponsorship program, the Back2Back Shelter Program, which enables us to better meet the physical, spiritual and educational needs of the children we serve. We truly cannot praise God enough for the ways in which He has blessed and provided for our ministry this year. These successes would not be possible without your commitment to partner with us. As we look toward the future, we are excited about how God is working through Back2Back Ministries. Please know that you are a part of our Back2Back family and we truly appreciate your love and support of the orphan child. Please keep the children we serve in your thoughts and prayers this holiday season. 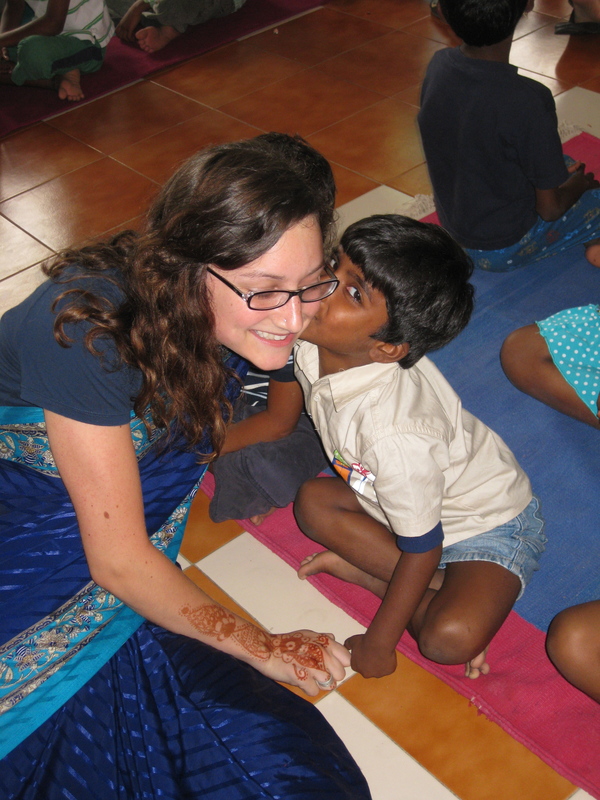 A friend of ours who is an American working in Hyderabad went with us to visit the children at Eternal Joy Home. As you may recall, these children received the blessing of scholarships to a private English Medium primary school this year. Most schools in India, whether government-run or private, require the children to wear a uniform specific to that school. Some uniforms are very simple; others are very elaborate and include the school emblem, a tie and belt. The school had donated a few old used uniforms to a couple of the children at EJH but most of them were wearing their street clothes to school. You can only imagine how the kids felt at this school. Most had been set back at least a few grades since they didn’t speak much English. Their classmates came from intact families with mothers and fathers. And “the kids from the orphanage” couldn’t even afford proper uniforms. When our friend learned of the situation, he was very moved. He had grown up in a large family and attended Catholic school. As one of the younger siblings in his family, he always had hand-me-down clothes including school uniforms. He tells of the other school children making fun of him in his old outfits, which were stained and worn. Fortunately, he could defend himself but he still recalls the psychological impact of this harassment. Our friend generously offered to provide uniforms for the children at EJH. Some of the children are at the private school; others, who joined later, still go to the government school and a few of the special needs children are not able to attend school. We hired a tailor and bought bolts of cloth so that each child would have a set of new clothes. Once all the uniforms were complete, our friend and two of his daughters came to visit the kids and hand out the uniforms. It was a very happy day. Against all the odds, the children are getting good marks and they enjoy school. Now, they have nice new uniforms – just like the other kids at school. How rewarding for our friend to identify a need close to his heart and give such a meaningful gift to these children! It’s raining! It’s pouring! The monsoon rains have finally come to Hyderabad, India and are a welcome relief from the near-drought conditions. Thank you to everyone who prayed for this rain. And, thanks to our God for providing this “shelter” in a sun-scorched land. Last weekend, my old concerns about the monsoons resurfaced. It had been raining all week, but we had planned a big event on Saturday. The children at Eternal Joy Home were going on a field trip! They were going to have a picnic lunch and play at a scenic spot. So, I started to worry. “What if it rains?” I’ve prayed for this rain and now that it’s come, I feel the need to put qualifications on it – “just not tomorrow, God.” But as usual, He had it all under control. We woke Saturday to beautiful blue skies. When the twenty children piled into two SUV vehicles, it was the first time that most of them had ever ridden in an independent car. They didn’t care that there was no air-conditioning. Open windows made it easier to wave at passing cars and trucks. We found a shady spot near a lake, overlooking a big rock mountain. Amid some grazing cows and a baffled goat herder, the children enjoyed their picnic lunch. Then it was time for some games – cricket, badminton, Frisbee and jump rope. They played a version of “duck duck goose” called “sumba, sumba, cumba” and the smiles on their faces were priceless. After that, our friend from the US gave all the children chocolates. Wow! For many of the children, this may have been the best day of their life. For just a couple of hours, they enjoyed what we so easily take for granted as a normal life. God provided for these orphans just as He promises to do. The next day, we had record rainfall in Hyderabad. How many times a day do you look at yourself in the mirror? Catch a glimpse in the rear view mirror? Check that your tie is straight? Stand sideways to see if you look thinner? For five months, we lived in an apartment that did not have a mirror. Other basic living needs always seemed to take priority over getting a mirror hung. Interestingly, several things happened without having a mirror – my husband stopped shaving and I didn’t see my increasing number of gray hairs! But why do we look in the mirror? Is it about vanity and self-absorption? If we are always looking at ourselves, what are we missing? Windex will shine up a mirror and make the reflection more clear. But I’m still looking at ME. By not looking at myself for those months, I had more time to look at others. When we see face to face, it’s no longer just about us. When we look at someone instead of fixating on ourselves, we can see them – their hopes, their fears, their dreams. Looking at someone face to face means you have to get close. You have to interact. 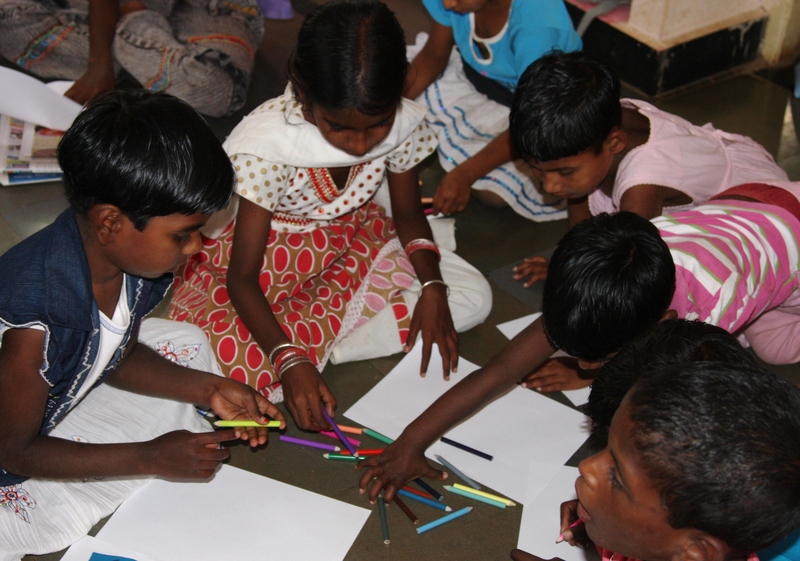 Many of the children that we serve are the least and the last in Indian society. They don’t always look so good – their face may be dirty or their clothing torn. But when you spend time with them you realize that they are truly beautiful. Innocent, sweet children who greet you warmly and whose eyes light up when you remember their name. When we get to heaven, we will see God face to face. But for now, when we look at these precious children, we can see a glimpse of God here on earth. Who are you looking at? 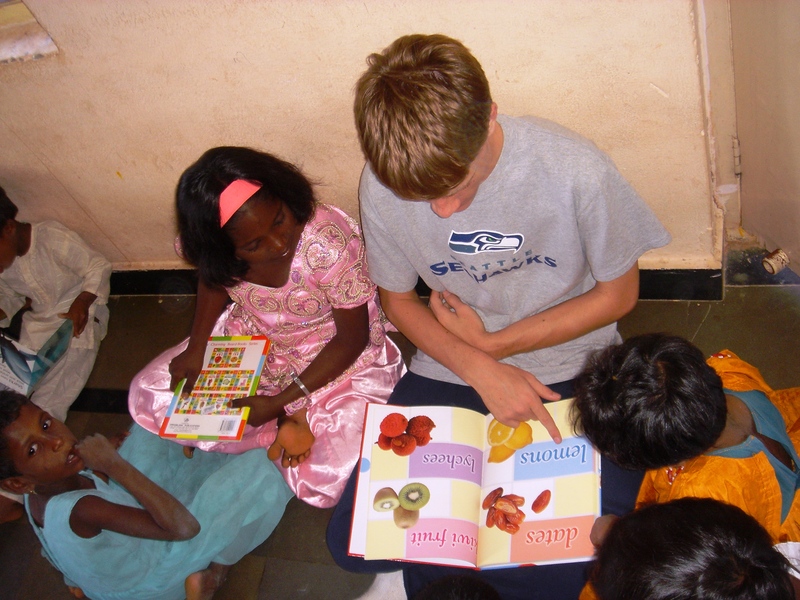 Todd Kutzke recently served at an Indian orphanage alongside the Back2Back India staff. He shared thoughts from the experience on his company blog, which I’ve reposted below. Over the weekend, I had an opportunity to visit a few orphanages around Hyderabad. It’s an incredibly humbling experience. A little while back, I read a fantastic book titled “Three Cups of Tea” which really gets you thinking about the importance of education in fighting poverty. There is little secret to the fact that India has a large population in extreme poverty that can’t even get access to basic necessities such as clean drinking water. But beyond the basic necessities, I’m a firm believer that investment in education is needed to sustain a level of life above the poverty line. On a personal level, I feel it’s important to capitalize on opportunity to give back to the community in any way possible. Not only is it humbling, but it helps reinforce how fortunate many of us are (especially in the first world countries) and what an incredible opportunity we have to give back to society. Even on a team level, I’ve looked to set at least one event a quarter where the team gets together to give back to the community through some volunteering activity; a great opportunity to give back and build morale at the same time. And when I see things like the Microsoft Unlimited Potential work, it makes me incredibly proud to be part of a larger organization with long term commitment to enhancing way of life for so many. Recently a new girl came to our hostel (children’s home). Naveena had come from another children’s home about five hours away. School was out for the summer and all the other children had been picked up by whatever family they had to go “home” for the summer. But Naveena had no family to visit. So she came to our hostel where there were still other children. Naveena’s mother was a well educated Indian woman who developed mental health problems. No longer able to hold a job, she wandered from town to town requesting money from anyone with whom she had been acquainted. When Naveena was only 4 or 5 years old, her mother took her to the children’s home and asked the director to care for her. Her mother was never seen or heard from since. Now Naveena is 10 years old. It was her first day at the new hostel. She shyly introduced herself to me and clung to my side. Shortly after I met Naveena, Thirulma, one of the older girls at our hostel came to greet me. “This is my sister” she said and put her arm around Naveena. Naveena smiled – her dark eyes shining. In Indian culture, many people will address someone as sister or brother so I wasn’t sure whether this was really a blood relative or not. Then Thirulma explained that she was taking care of Naveena, just as she would do for a sister, helping her adjust to the new hostel and ease any fears. That same day, the director of the hostel gathered all the girls together. It was the birthday of her late sister – an older sister who had cared for the younger siblings. The director loved her sister and cherished the way her sister had cared for her when they were young.